Trailer for upcoming Chinese film "Explosion"
Zhao Xudong is a blaster technician in the mining town of Hongliang. When an underground mining explosion occurs, killing four workers, Zhao is left as the sole survivor. 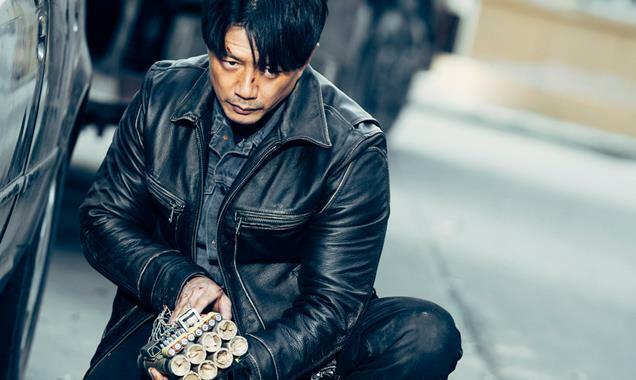 Zhao becomes suspicious that the explosion was not an accident and when he investigates further, fellow miner Wang Sanbai and the mine owner Li Yi are murdered. As the body count increases, Zhao becomes the prime suspect and he must use his skills as a blaster to clear his name. "Explosion" is director Chang Zheng's second film. It's described as being more thriller than actioner, and influenced by stylish art cinema more than Hollywood. Of note also seems the excellent modern soundtrack by Zhang Yi-lin, which experiments with abstract rhythmic sounds in place of music to pump up the suspense. Asian Film Vault: Trailer for upcoming Chinese film "Explosion"